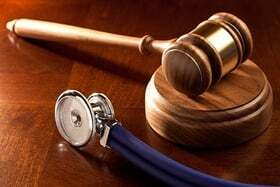 A federal district judge in Maryland on Friday tossed the state's lawsuit against the Trump administration to affirm that the Affordable Care Act is constitutional. U.S. District Judge Ellen Lipton Hollander determined Maryland didn't have standing to sue the administration because their claims that Obamacare may not be enforced were too speculative. The state's suit focused on President Donald Trump's past attacks on the ACA and refusal to defend the Obamacare insurance coverage provisions in another lawsuit in Texas, claiming they posed an immediate threat to the healthcare law because he might outright stop enforcing it. "The state's suit is tantamount to a request for an advisory opinion to thwart the possibility of the president deciding not to enforce the act," Hollander wrote in her opinion. The judge ultimately rejected Maryland's assertions that the Trump administration's action around the halted cost-sharing reduction payments, or CSRs, and the Justice Department's decision not to defend the ACA, as proof the entire law was at risk. On CSRs, Hollander indicated that the Trump administration's decision to stop paying wasn't without legal ground. She cited a previous court decision that found Congress did not in fact appropriate the payments, and also referred back to the another federal court in California's refusal to force the Trump administration from making the payments which Congress did not appropriate. She quoted the California judge's opinion that "although it's a close question, it appears initially that the Trump administration has the stronger legal argument." Last year a federal appellate court approved the Trump administration's settlement of the lawsuit originally filed by the GOP-led U.S. House of Representatives. Hollander also said Maryland "inflated" the significance of the Justice Department's decision under former Attorney General Jeff Sessions not to defend the ACA in the Texas-led GOP state lawsuit to overturn the law. Maryland "focuses on the omission from the letter of any representation by Sessions that he would continue to enforce the provisions that DOJ views as unconstitutional or inseverable," she wrote. The plaintiffs cited the letter as evidence the executive branch would stop enforcing these measures, but Hollander said these two things can't be conflated. "The president's profound disdain for the ACA cannot be seriously disputed," she wrote. "But, the state's allegations do not create a plausible inference of a substantial or certainly impending risk that the Trump administration will cease enforcement of part or all of the ACA. Neither the president's zealous attempts to repeal the statute, nor his derisive comments about it, support an inference that he will fail to enforce the law." Hollander also waded into the question at the heart of Texas case: Did Congress intend for the ACA to survive after it effectively eliminated the law's individual mandate penalty? Legal analysts have criticized U.S. District Judge Reed O'Connor's ruling as a misreading of congressional intent, since lawmakers left the rest of the law in place even as they gutted the mandate. Hollander quoted several GOP senators' statements on the matter during debate over the tax law. She included a speech by Sen. Pat Toomey (R-Penn. ), noting that he "made it clear in floor debate that Congress intended to reduce the payment but sought to preserve the remainder of the Affordable Care Act." She also quoted then-Senate Finance Committee Chair Orrin Hatch (R-Utah) and Sen. Shelley Moore Capito (R-W.V.) making similar statements. The decision comes as the Texas lawsuit simmers, waiting on action from the U.S. 5th Circuit Court of Appeals where O'Connor's ruling is facing a challenge by Democratic attorneys general who intervened in the case. In Washington, the case that loomed large and helped Democrats in the 2018 midterm elections is still serving as political fuel. On Wednesday, the health panel for the House Energy and Commerce Committee plans to hold a hearing on what would happen to the healthcare system if O'Connor's ruling stands.